Apple ranked coolest brand in the UK, but do you agree? It was bad news for Sony, but a good year for Netflix and Instagram as the annual Coolbrands report arrived, with Apple once more bagging top spot. 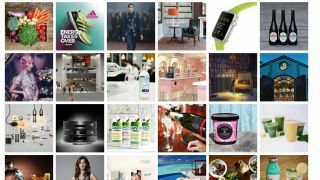 A panel of judges - including techradar Global Editor-in-Chief Patrick Goss - voted on the coolest brands in the UK, and the new wave of digital giants were the big climbers. Netflix has had a huge impact since bursting onto the scene originally as a DVD mailing service before becoming the most familiar of the new streaming giants. Instagram has established itself as a social network that oozes confidence and has a bigger cool factor that the likes of Facebook. But it is Apple that tops the charts again - with the Cupertino-based technology company managing the impressive task of being one of the biggest companies on the planet and remaining a brand that resonates. Interestingly given the arrival of the Apple Watch, one of the the high-profile drops out of the top 20 was Rolex. Another major brand that lost its place was poor old Sony - although PlayStation did top out the gaming cool category.